A Bob's Life: The Tree Ate It! Really!! Yesterday, after I mowed the lawn primarily to remove the leaves that used to form the privacy canopy in the trees, I decided to hit a few practice golf balls. My yard is not particularly large--but it is private. I use orange foam practice balls so that I do not risk breaking anything--like windows. I work mostly with my wedges and short irons trying to consistently hit the ball--which is a lot harder that I ever imagined it would be. All too often my shots leave the yard and fly into the wild and forested area next to the house. Yesterday, I hit one and was tracked it into the wooded area as it flew off course, but I didn't see it come down. I knew about where it was headed, so I went over to look for it. The orange golf balls--which, while easy to see in green grass are a lot more problematic to find in the orange and red autumn leaves piling up around the yard. After searching for a few minutes, some of the people I play golf with say that I am a fanatic about finding lost balls, I was unable to find the missing ball. I replayed the shot in my head and remembered that I never saw the ball come down into the underbrush. I decided that maybe, since it was a foam ball and not as heavy or dense as real golf ball, that the ball might be in a tree. The area is surrounded by juniper trees which are still green and have small needles for leaves. 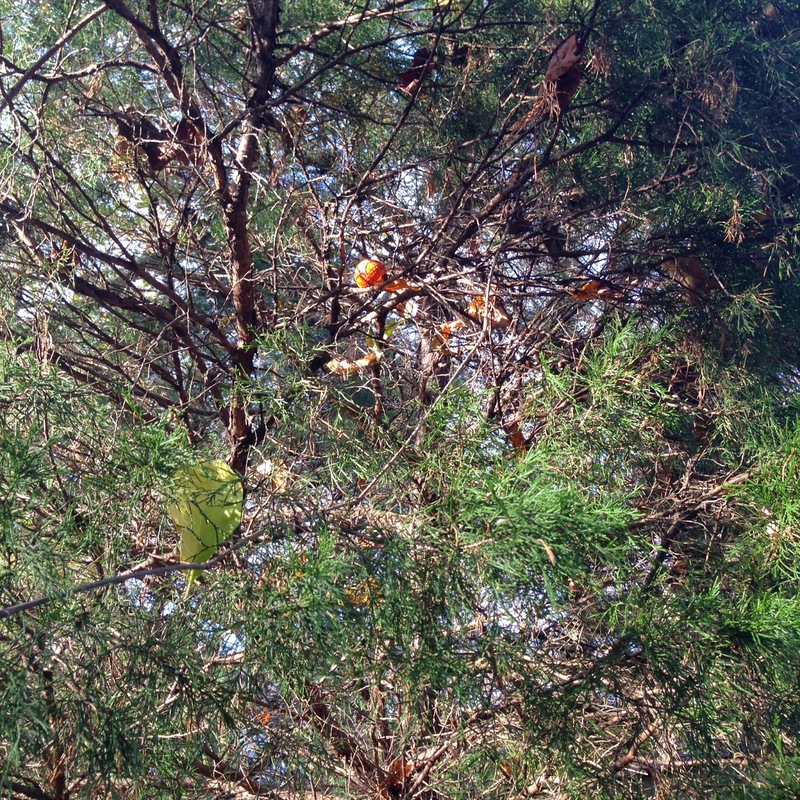 I looked up into the first tree and there it was--in the branches. Wow! I was happy, I hate losing golf balls. 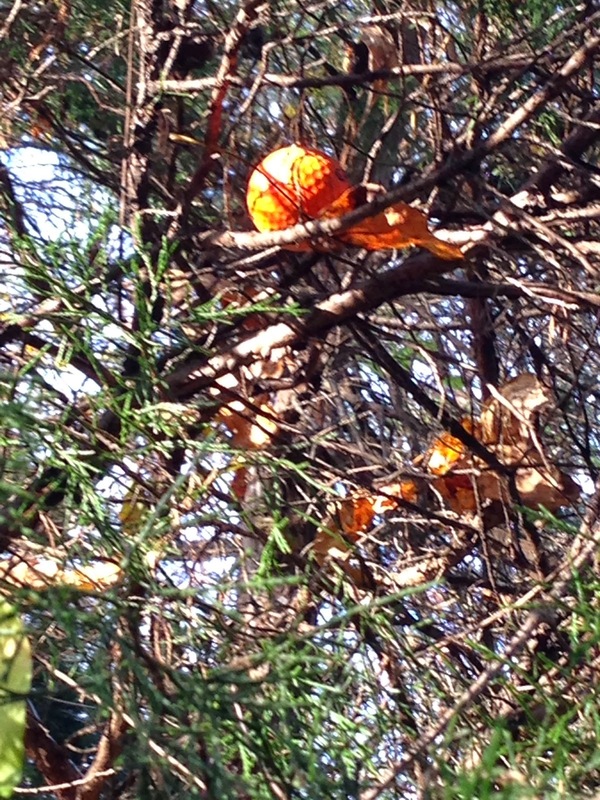 It was funny to find the bright orange ball nestled in the branches of the tree. It was a lot like an Easter Egg Hunt. I lose enough balls, it was nice to find a wayward one.